It is with deep sadness to inform you that Rev. John H. Gaffney, O.S.A. has gone to eternal life. He took his last breath on March 19, 2019. He was 99 years of age. Please keep Father Gaffney in your prayers and in your masses. Burial will follow after the Funeral Mass at Calvary Cemetery. -And let light your perpetual light shine upon him. John Henry Gaffney was born April 8, 1919 in Wilkes-Barre, Pennsylvania to John and Rose Gaffney. He was Baptized April 13, 1919 at St. Leo Catholic Church, Ashley, Pennsylvania. He received the Sacrament of Confirmation June 23, 1929 at the same church. He attended St. Leo School, Ashley for elementary grades 1-6, then transferred to St. Charles School, Sugar Notch, Pennsylvania, for grades 7 and 8. He is a 1937 graduate of St. Leo High School, Ashley. After graduation, John worked for a short time as a grocery clerk. He entered the Augustinian program of formation in 1937. He then did post-graduate studies at Augustinian Academy, Staten Island, New York. He was received into the Augustinian Novitiate September 9, 1938. He professed temporary vows in the Order of St. Augustine September 10, 1939 and solemn (permanent) vows September 10, 1942. He earned a B. A. in Philosophy from Villanova College in Villanova, Pennsylvania, in 1942. He then pursued theological studies at Augustinian College, Washington, D. C., from 1942 to 1946. He was ordained a Priest May 22, 1945. He earned an M. A. in English Literature from Catholic University of America in 1946. Father Gaffney was assigned in 1946 to St. Rita High School, Chicago, Illinois, as a teacher. He taught at Cascia Hall, Tulsa, Oklahoma, from 1954 to 1962. 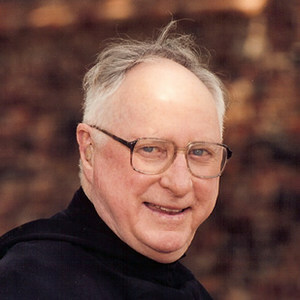 He served as Director of Novices at St. Monica Novitiate, Oconomowoc, Wisconsin, from 1962 to 1964. He returned to Cascia Hall, Tulsa, in 1964. He taught there until 1989, when he retired. In retirement, he continued to reside at Cascia Hall Monastery until 2012, when he moved to Montereau Senior Living. Father Gaffney is remembered for his quick smile and soft wit. His students remember him for the thoroughness of training that they received from him.